For the district, see Bannu District. For other uses, see Bannu (disambiguation). Banū or Bannu (Pashto: باني ګل / بنو‎, Urdu: بنوں‎ pronounce (help·info)) is a city located in Bannu District in southern Khyber Pakhtunkhwa, Pakistan. Founded by Sir Herbert Benjamin Edwardes in 1848 during the British colonial era, Bannu was once a British military base used for action against the Pashtun border tribes of the Tochi Valley and Waziristan. Bannu’s residents are primarily members of the Banuchi tribe and speak a dialect of Pashto that is similar to the distinct Wazir dialect. The Bannu Resolution or "Pashtunistan Resolution" was adopted in the city in June 1947. The town was founded in 1848 by Herbert Benjamin Edwardes, a lieutenant in the 1st Bengal European Fusiliers Regiment of the East India Company's private army. He ordered the construction of the fort – named Dhulipgarh (Dalipgarh) in honour of the Maharajah of Lahore – at the same time. At the time of its founding, the town was named Dhulipnagar (Dalipnagar). Its name was later changed to Edwardesabad in 1869. In 1903, it received its current name, Bannu. Bannu was used as the base of operations for all punitive expeditions undertaken by troops of the British empire to the Tochi Valley and the Waziristan frontier. A military road led from the town of Bannu toward Dera Ismail Khan. This road was built by military engineers under the supervision of a Bannu engineer, Ram N. Mullick. Mullick graduated from Banaras Engineering College and had served in Iraq and Lahore as an expert in heavy earth-moving equipment before the independence of Pakistan in 1947. The municipal receipts and expenditure during the ten years ending 1903–1904 averaged Rs. 46,000. In 1903–1904 the income was Rs. 47,000 chiefly derived from octroi; and the expenditure was Rs. 55,000. The receipts and expenditure of cantonment funds during the ten years ending 1902–3 averaged Rs. 4,200 and Rs. 3,700. The profuse irrigation and insufficient drainage of the surrounding fields render Bannu an unhealthy station. The town has a considerable trade, including fish guts and butts. Also, embracing the whole traffic in local produce of the Bannu valley. The nearest railway station is at Kohat on the Khushalgarh-Thal branch of the North-Western Railway, 79 miles distant by road. A weekly fair collects an average number of 8,000 buyers and sellers. The chief articles of trade are cloth, live-stock, wool, cotton, tobacco and grain. Bannu possesses a dispensary and two high schools, a public library and a town hall known as the Nicholson Memorial. The first public sector university, University of Science and Technology, Bannu, opened in 2005. Bannu also has a medical college, Bannu Medical College, and a campus of University of Engineering and Technology, Peshawar. The oldest and most renowned public sector institution is Government Post-Graduate College Bannu, which started operating in 1951. The 10,000-capacity Bannu Stadium is the largest stadium in Bannu. It is used mostly for football (soccer). ^ Claus, Peter J.; Diamond, Sarah; Ann Mills, Margaret (2003). South Asian Folklore: An Encyclopedia : Afghanistan, Bangladesh, India, Nepal, Pakistan, Sri Lanka. Taylor & Francis. p. 447. ISBN 9780415939195. ^ a b Chisholm, Hugh, ed. (1911). "Bannu" . Encyclopædia Britannica. 3 (11th ed.). Cambridge University Press. p. 355. ^ Bannu; or our Afghan Frontier. S.S. Thorbourne, 1883. Trűbner & Co., London, pp. 3, 5. ^ "Bannu Town – Imperial Gazetteer of India, v. 6, p. 02". Dsal.uchicago.edu. Retrieved 24 January 2016. ^ "Bannu | Pakistan". Encyclopædia Britannica. Retrieved 20 May 2016. ^ "Bannu Town – Imperial Gazetteer of India, v. 6, p. 02". Dsal.uchicago.edu. Retrieved 17 June 2013. ^ Junaidi, Ikram (2013-07-06). "HEC announces ranking of universities". DAWN.COM. Retrieved 2018-07-07. ^ "RECOGNIZED MEDICAL COLLEGES IN PAKISTAN". Archived from the original on 2018-06-18. Retrieved 2018-07-07. ^ "PESHAWAR: Engineering varsity campus opens". DAWN.COM. 2002-05-19. Retrieved 2018-07-07. ^ "Another four-year term for UET VC". The News. Retrieved 2018-07-07. ^ "Government Post Graduate College Bannu - Online College Admission System, Government of Khyber Pakhtunkhwa". www.admission.hed.gkp.pk. Retrieved 2018-07-07. 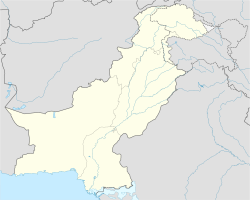 Wikimedia Commons has media related to Bannu.